As the North Texas region continues to grow, so does the burden on our transportation system. Transportation leaders are looking at innovative ways to meet the growing traffic demand and alleviate congestion. 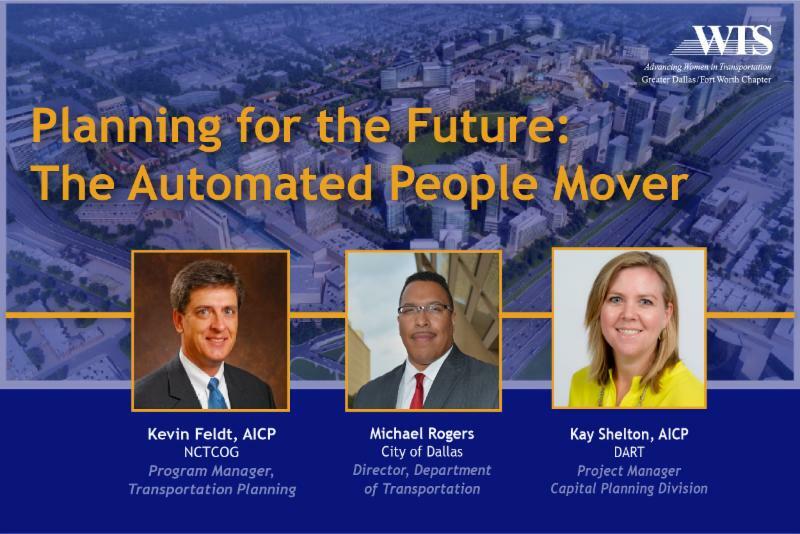 Join WTS for this informative discussion on the Automated People Mover with Kevin Feldt, Michael Rogers and Kay Shelton.